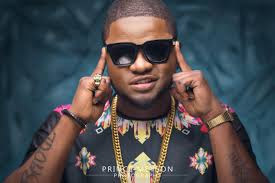 Nigerian artist, Raoul John Njeng-Njeng, widely known as Skales, has revealed some of the things that frustrated him when he was with his former record label, EME. 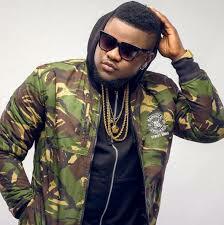 The Baseline Records artiste said that unlike his current management that gives him creative freedom and absolute support, he was restricted to the judgment of his former CEO, Banky W and other heads. “I’ll say when I was in EME… you know how when somebody is investing in you, definitely, he has to monitor whatever you put out there so there were lots of restrictions. Before music is put out there-there has to be a lot of criticism and sometimes, you know how it is, as an artist maybe this is what you wanna go out with, you don’t care, just put it out there. As I am right now with Baseline Music), I do whatever I want, I have the freedom you know. It’s whatever I say I want to do that Baseline will say go ahead they are in full support you get me.As at that time, (with EME) there was an artist as the CEO, there were other music heads, they had their own idea of what they wanted you to sound like but I myself as an artist had an idea of how I wanted my music to sound,” he told Planet TV. The Kaduna born entertainer also said that he was more than just a singer or rapper as he considers himself as an all round musician. “I’m not just a rapper or a singer and funny enough for a lot of people that know me, even before whoever is doing the rap and singing thing, I used to rap and sing from way back,” he said.